Leaving METRO, Tom and I joined Rita Ormsby of Baruch College for lunch at a fantastic vegetarian Indian restaurant, where our conversation ranged from the heat to the current state of the information profession to SLA. 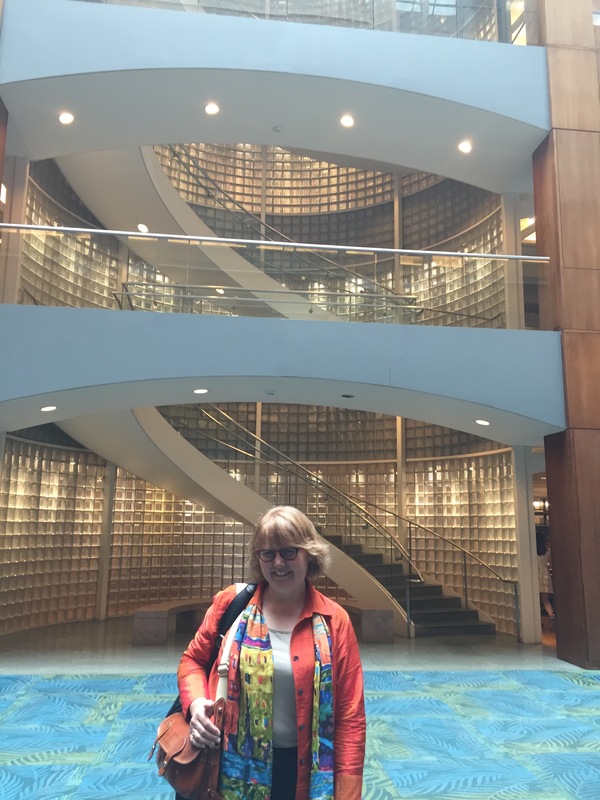 After our lively conversation, Rita and Dee headed to the Baruch College Library. Baruch College has programs in business, public affairs and the liberal arts. The library is in a beautiful 4-story space with spiraling stairs and a wood-paneled reading room. A student technology fee helps supports library databases, loans of laptops and calculators, and printing. The staff have developed their own informal professional development over time. A business and a user services librarian organize tech-related talks every other Friday, and there are product development discussions. 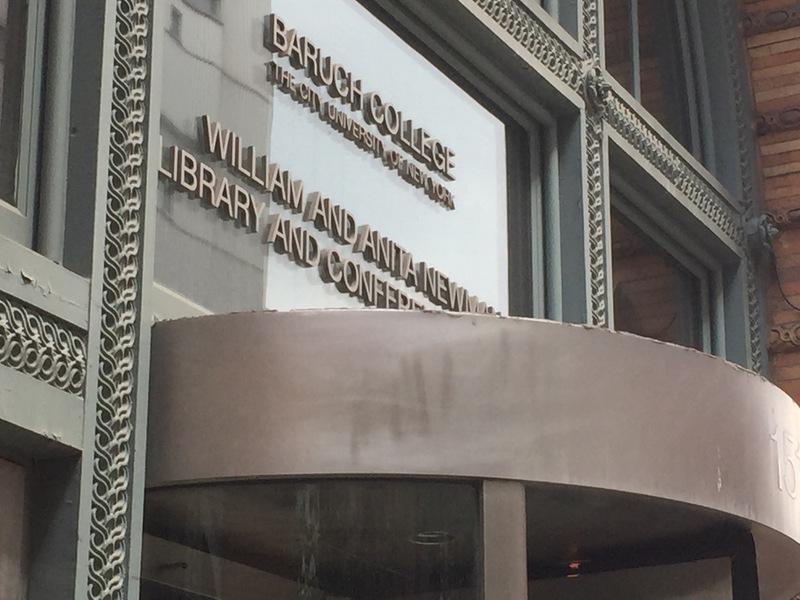 Baruch is a senior college in the City University of New York (CUNY) system, whose association of librarians, LACUNY, sponsors an annual institute, webinars and other training. With the rich variety of regional and virtual training available, Rita is concerned that professional development will not distinguish SLA in the marketplace. Our international presence is important, and we need to keep our members engaged. Security as a topic — both of networks and locations — would be valuable for our members across units. 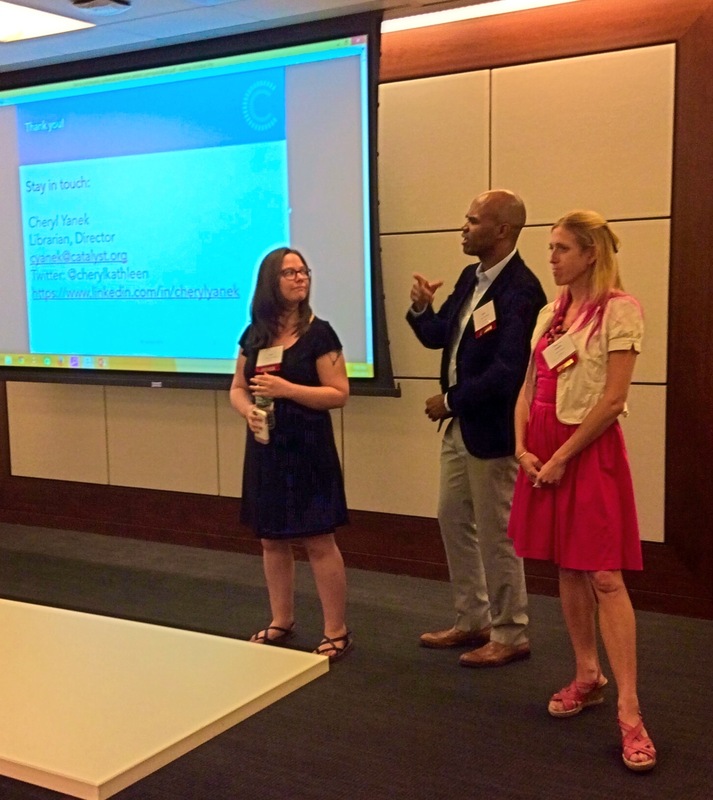 There is local expertise in this topic, and the New York chapter could help develop content. Heading downtown from Baruch, I next visited the World Trade Center complex. Emma Davidson joins me as we meet with Stan Friedman, head librarian at the Conde Nast Library at 1 World Trade Center. 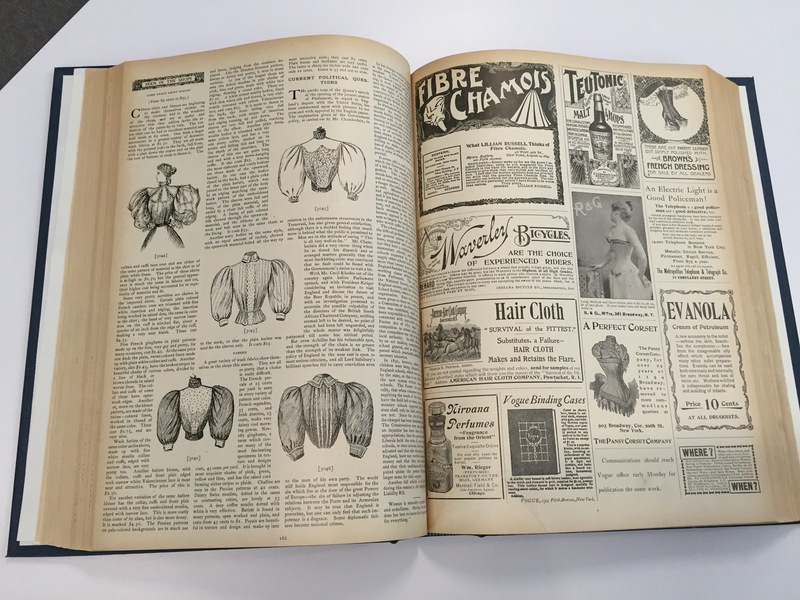 Conde Nast has twenty-two brands, and the library holds issues of the magazines back to their earliest days. 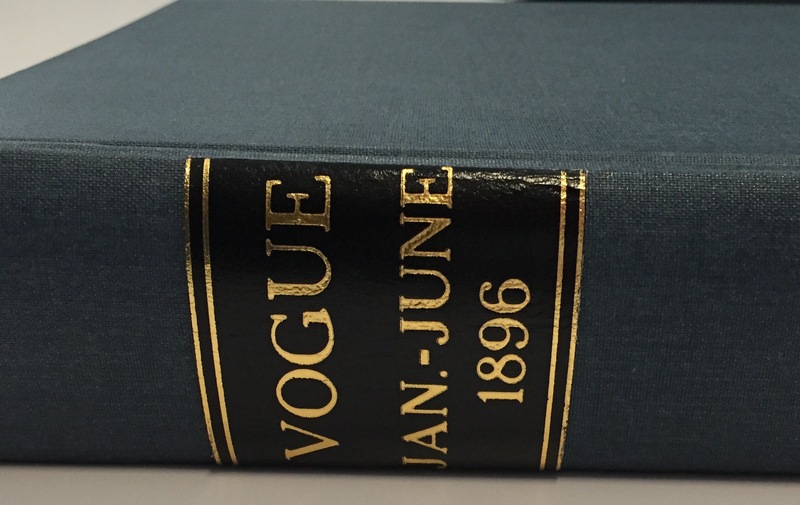 I couldn’t resist flipping through Vogue from the late 1800s! The Conde Nast Library is open to all staff, and the collection and space is meant to be hands-on. In addition to their own titles and archives, the library holds approximately 200 competitor titles. Guest researchers can visit with an appointment. Conde Nast has a separate department for digital archiving and metadata tagging. Montrose, the digital archive, holds approximately a decade of U.S. publications and 3 – 4 years of international titles. How does Stan and his staff stay up-to-date? Social media and in-house newsletters both play roles. A lot of learning-as-they-go happens, highlighting the importance of cross-industry training in newly emerging technologies and topics. Stan, Emma and I leave Conde Nast to head to a NY Chapter Board dinner. We meet around a large, round table, and the passion of this group is evident in the evening’s conversation. Members both share views and ask questions. We are fortunate to have three SLA Board candidates present — myself, Tom Nielsen and Nick Collison — and we explore current concerns and future directions. I end the day once again re-invigorated by the creativity and dedication of our members. The next day I give my AAP/PSP talk, and have time for one more visit. 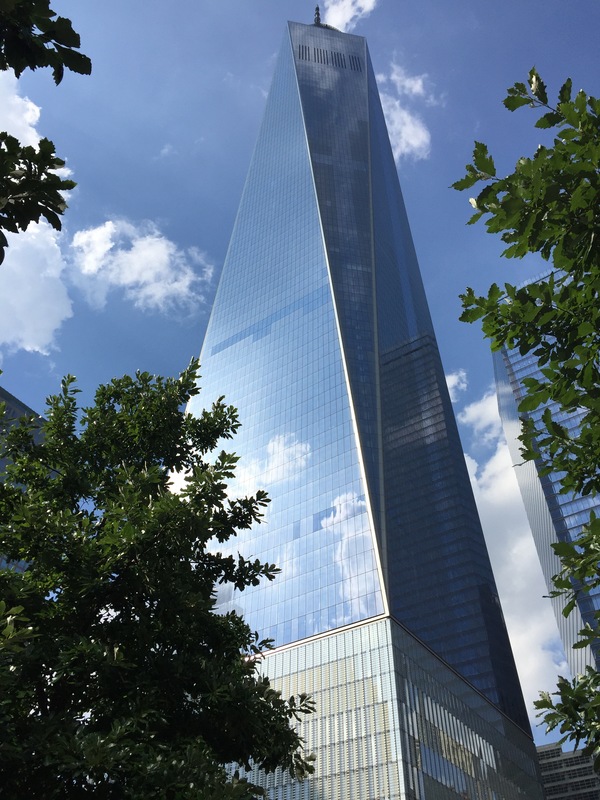 I head back to the World Trade Center complex, where I meet with Hildy Dworkin at the New York City Human Resources Administration, in 4 World Trade Center. Hildy heads the library, which has a rich history dating back to 1947. The entire administration moved to the World Trade Center earlier in 2015, and Hildy had a seat at the table when discussing the design of the library space. Asking about her success, Hildy discussed the importance of building relationships over time. Hildy is working to build a digital library using the agency CMS. She reports out on activities and initiatives through a report that includes tables, statistics and stories. In addition to looking forward, Hildy is often the agency historian, and chairs the 50-year anniversary committee that is planning events for next year. Emerging initiatives include diversity, homelessness and affordable housing. Poverty is a complex topic, and also a big business. Turning to SLA, Hildy spoke about the skills she developed through her activities: organization, leadership, the ability to have conversations with a broad range of people, and partnership building. These skills have served her well on the job. Hildy helped sustain and facilitated bringing in new leadership to the Solo division, and this group has provided professional support and knowledge over many years. While I next took a train to Washington, DC, I was back in New York a day later and attended the chapter event The Future is Now Community Conversation: Value Added Communication. Communicating across media, writing and marketing yourself and your space were amongst the topics covered in this rapid-fire, high impact session. 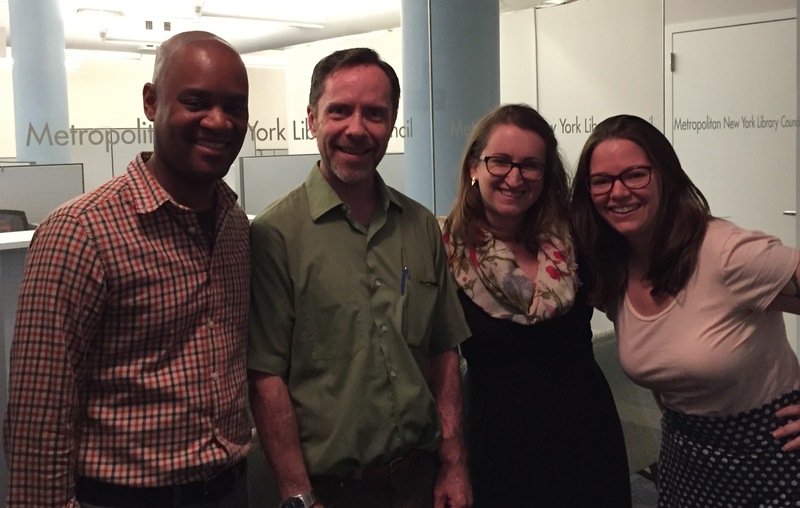 My visit to the SLA NY chapter was full of fantastic conversations and forward-looking ideas. We imagined our professional and association future, and together we can create that future.